In 1933, Adolf Hitler became Chancellor of Germany, and the elder Cahn escaped arrest only because he had been forewarned by a fellow lawyer. The family fled Germany and eventually ended up in Amsterdam. They emigrated to America in 1939, where Hans became John. Most of his family back in Europe perished in the Holocaust. 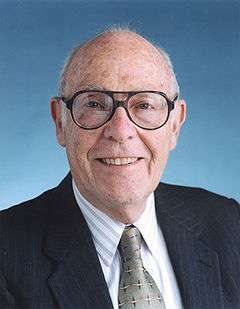 In 1957, Cahn worked with John E. Hilliard to develop the Cahn–Hilliard equation which describes the thermodynamic forces driving phase separation in many systems. Their joint theory of spinodal decomposition is of interest for two primary reasons. First, it is one of the few solid-state transformations for which there is any plausible quantitative theory. The reason for this is the inherent simplicity of the reaction. Since there is no thermodynamic barrier to the reaction inside of the spinodal region, the decomposition is determined solely by diffusion. Thus, it can be treated purely as a diffusional problem, and many of the characteristics of the decomposition can be described by an approximate analytical solution to the general diffusion equation. In contrast, theories of nucleation and growth have to invoke the thermodynamics of fluctuations. And the diffusional problem involved in the growth of the nucleus is far more difficult to solve, because it is unrealistic to linearize the diffusion equation. From a more practical standpoint, spinodal decomposition provides a means of producing a very finely dispersed microstructure that can significantly enhance the physical properties of the material. Spindoal decomposition has famously been utilized in the Vycor process to produce low thermal expansion glasses for high temperature applications. In 2004, Cahn and Bendersky presented evidence that an isotropic non-crystalline metallic phase (dubbed "q-glass") could be grown from the melt. This phase is the first phase, or "primary phase," to form in the Al-Fe-Si system during rapid cooling. Experimental evidence indicates that this phase forms by a first-order transition. TEM images show that the q-glass nucleates from the melt as discrete particles, which grow spherically with a uniform growth rate in all directions. The diffraction pattern shows it to be an isotropic glassy phase. Yet there is a nucleation barrier, which implies an interfacial discontinuity (or internal surface) between the glass and the melt. In his retirement, Cahn accepted a position at the University of Washington as an affiliate professor in the Departments of Materials Science and Engineering and Physics. In his office in the new Physics/Astronomy Tower, Cahn was working on a project that includes a glass that grows from a melt like a crystal – as if by a first-order transition. ↑ "The Selected Works of John W. Cahn" (PDF). 1 2 3 4 5 "John W. Cahn: Foremost metallurgist fled Nazi Germany". The Seattle Times. 15 March 2016. ↑ Cahn, J.W. ; Bendersky, L.A. "Formation of Glass by a First Order Transition". Metallurgy Division Publications – NISTIR 7127. Retrieved 2009-06-06.